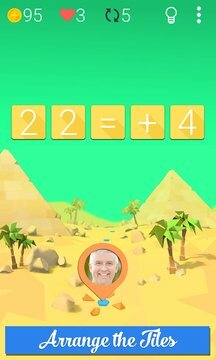 Discover the equalicious, pythagorean and fibonastic puzzles of Equalicious! 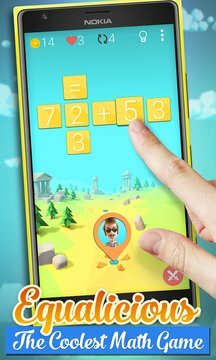 Train your brain going through multiple levels, arranging the tiles to solve simple equations with basic operations… but don't get cocky! Join your friends in this amazing adventure. Find them along the way through several mathematical 3D worlds. Help them progress and challenge them to know who is the Emperor of Mathematics. Earn in-game XBOX achievements to prove your awesomeness. ** PLEASE NOTE: "Equalicious" is completely free to play but has optional in-game purchases. In-app purchases can be disabled through your device settings.